Love, Mrs. Mommy: Stamina Adjustable Kettle Ball Giveaway! $200+ RV! 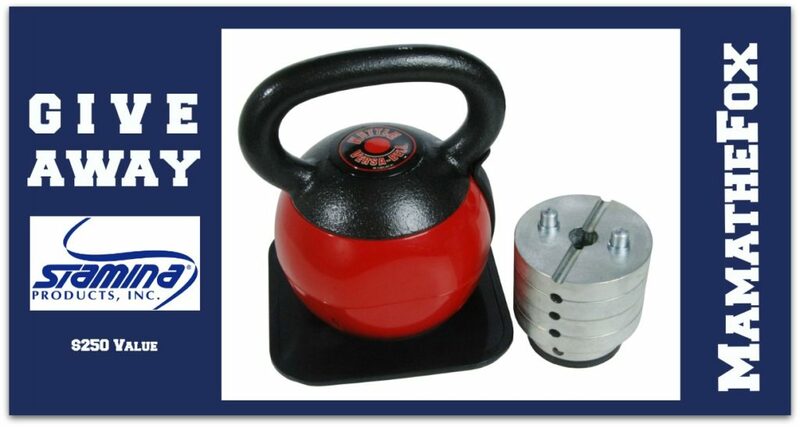 Stamina Adjustable Kettle Ball Giveaway! $200+ RV! This kettle ball will help you stay on track with your fitness goals for the upcoming new year! It's over a $200 RV! Stamina: Stamina has been making innovative and affordable gym equipment since 1987. Their greatest achievement has been bringing affordable Pilates reformers into home gyms. Stamina's mission is to make consistent quality products while having superior honest customer service.